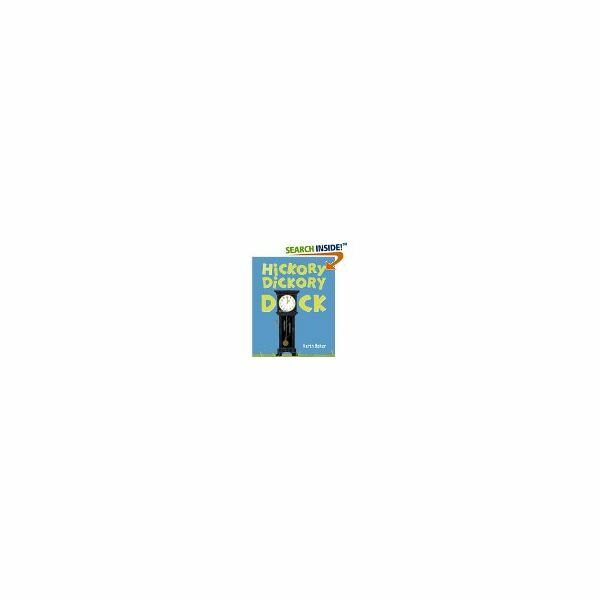 Hickory, Dickory, Dock is a fun rhyme for children to learn. Before starting these activities, print the rhyme on chart paper (an example is given below). 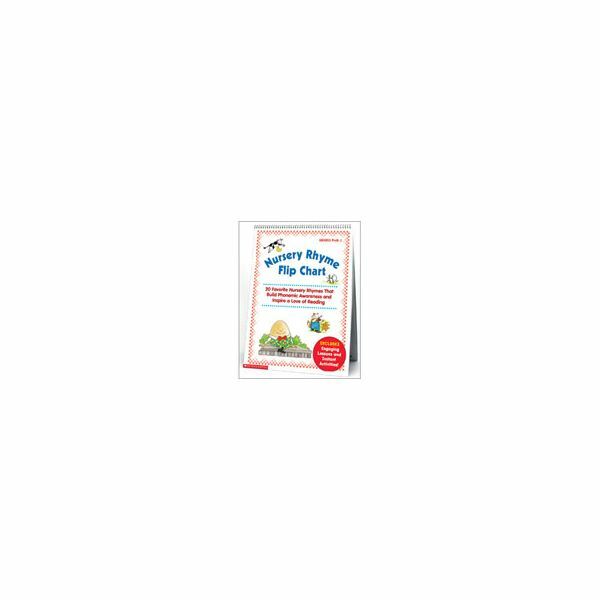 These Hickory, Dickory, Dock activities can supplement your rhyming lesson plans and are a part of a series on teaching word families with Mother Goose rhymes. 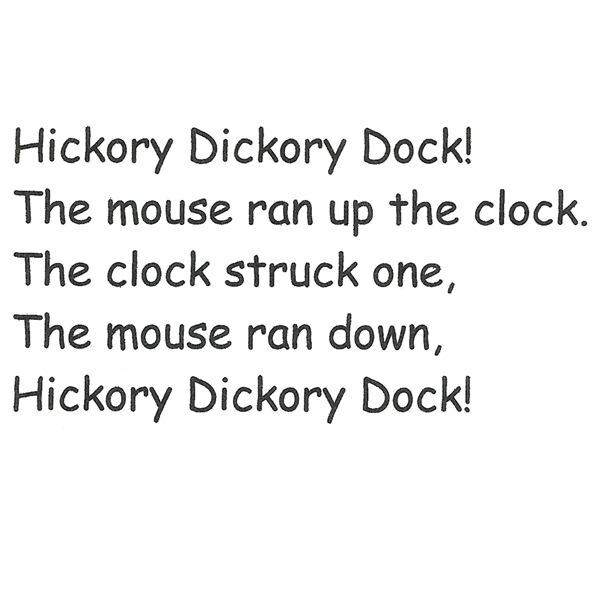 Monday: Read the nursery rhyme, Hickory, Dickory, Dock. It is a nonsensical nursery rhyme with alliteration. Define alliteration for the students (the repetition of beginning constants or syllables usually neighboring each other in a poem or nursery rhyme). The first publication date for "Hickory, Dickory, Dock" is believed to be 1744. It is believed to have its origin in America. Show students the versions of Hickory, Dickory, Dock that you have collected. Create a Venn Diagram on the likes and differences between texts. Discuss the sound of father clock. Ask the students to imagine what the mouse is thinking! Tuesday: Define new vocabulary. 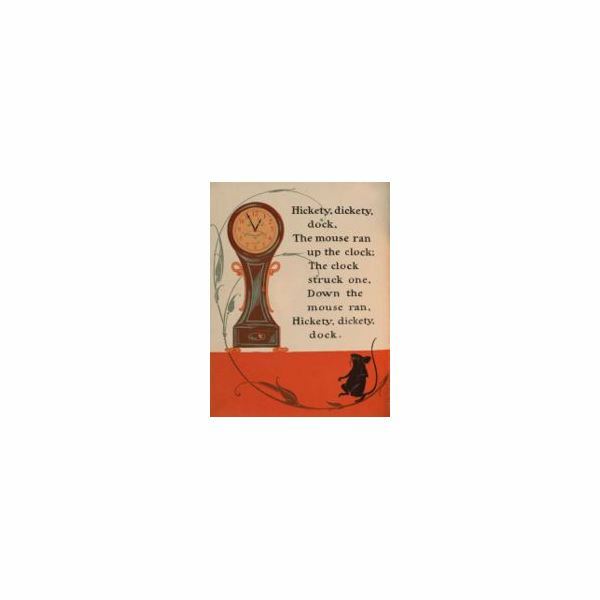 Hickory, Dickory, Dock is Celtic for "eight, nine, ten", but again, be wary because there are many different philosophies about the meaning of this nursery rhyme. As a fun activity, as the students what the words may mean. Could they be just fun rhyming sound words like the tick-tock of a clock? Wednesday: Choose the rhyming words and chart them (in this case "hickory" and "dickory" are next to one another in the text, not always at the end of the sentence as in other rhymes we have learned). Other rhymes in this text are dock and clock, one and down. Friday: Let children enjoy and discuss the book collection that you have displayed. Assign students numbers to rhyme with. For example, what if the clock struck two (three, four) what would happen to the mouse? Provide an example to follow if necessary… the clock struck two, the mouse turned blue…. When finished they can rewrite the poem with their new rhyming words. For extra practice and Hickory, Dickory, Dock activities students can practice filling in the blank lines for the Hickory, Dickory, Dock rhyme on The Once Upon a Time website. Have students listen to a recording of a Grandfather Clock striking one on headphones to hear what the mouse might have heard. As with any of the nursery rhymes in this series, students are going to love learning about words in a sing-song way!